*Mini rant: We went hiking with our pinhole cameras up at the Samon River this past weekend (which was Memorial Day weekend) and the trail was a little more crowded than usual, thus, more people curious about the cameras we were using. Someone had left a baby’s bright pink shoe sitting on a rock at the trail head and I instinctively decided to photograph it with my pinhole camera. As I was exposing the shot, a couple wandered up the trail and the woman asked me, “Why are you photographing the shoe?” The question took me by surprise because I didn’t have an answer. I don’t know why I did it. I just did it. My answer to her was completely idiotic. I think I said, “Oh we are just messing around.” And she said, “you are in a beautiful place for photography” and I said, “Yes it really is.” Weirdly, I felt like I was defending myself. I kind of had this weird nudge of anger. oooo. yes. I like this answer. 🙂 Thank you! Love this shot! I’ve been thinking about doing a series of self portraits (either Holga or pinhole) for a while now, but I don’t have the guts to do it. Don’t know why really, because if they look stupid I don’t have to show them. Been wanting to do a silent movies BW look. Inge that sounds so cool!! You should totally do it! And yes, you don’t have to show them to anyone if you don’t feel like it. Go for it! I am going to have to ask you more about using paper. I have some, but have never tried it. Thanks Gretchen! Yes! It’s actually super easy. I cut it to fit into 4×5 holders and expose at 3 ISO. I am still playing around with the reciprocity failure. I think it’s best when I don’t compensate for it. They tend to get over exposed when I do. 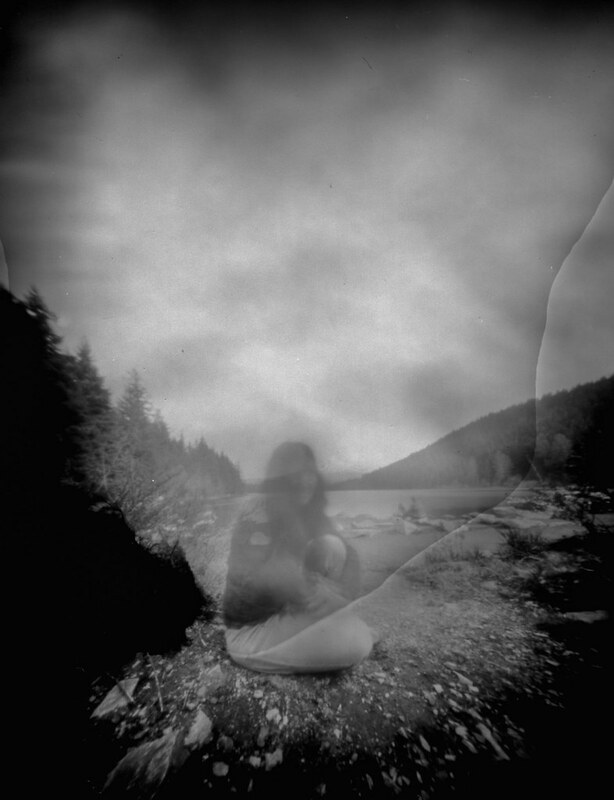 I simply love your pinhole snaps! I play around with paper inside all sorts of boxes as well from time to time, but I really need to start using some bigger stuff for my negatives. 4×5 would be a nice start for sure. Do you invert them on the computer or in the darkroom?